Manchester School of Art students and graduates stole the show at New Designers 2018 – the two-week celebration of the best young design talent in the country. A pair of visionary young designers walked away with awards and internships at the exhibition that attracts thousands of industry professionals and design lovers. New Designers showcases a range of techniques and practices including painting, product design, screen printing and sculpture. 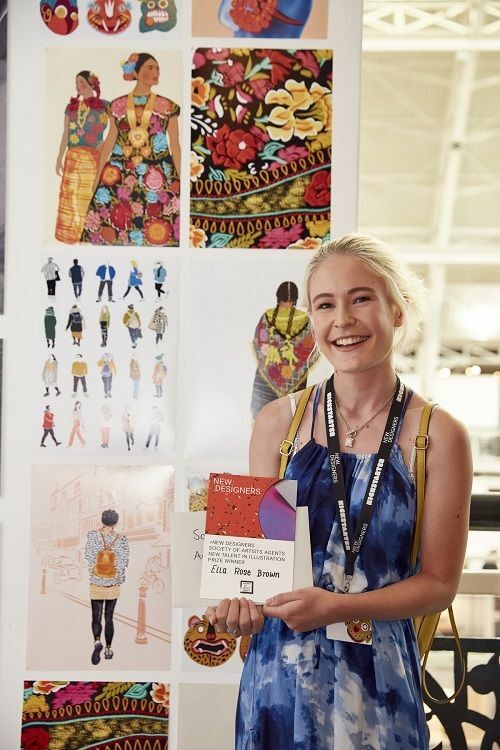 Maisy Summer Lewin-Sanderson (BA Illustration with Animation student) captured the Hallmark Studio Award for her striking illustrations. The prize includes £500 and a four-week paid placement with the greetings card publisher. Ella receives six months career development by one of the SAA’s member agents which will include mentoring, portfolio advice and promotion through the SAA’s website and social media channels. 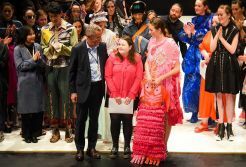 Maisy was also given an Outstanding Award by the SAA as a runner-up in this category, while coursemate Sarah Wilson was shortlisted to the final 10 for the New Designers Screening Prize. Textiles in Practice graduate Hannah Elisabeth Jones also displayed her innovative BioMarble material as part of the Dulux Global Colour Trends exhibition. 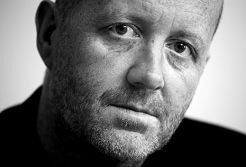 Joe McCullagh, Head of Design at Manchester School of Art, Manchester Metropolitan University, said: “We are absolutely delighted with the successes of our current and recent graduates at New Designers. It fully demonstrates the strength in depth and breadth of our students and how they are making a positive impact across all areas of design. McCullagh was also invited to speak at a Design Council panel at the event on the value and role of design skills across different sectors. This followed on from a landmark Design Council report investigating the skills used in design, the link between these skills and productivity and innovation, and how they align with future demand for skills across the wider UK economy. The report’s recommendations include a UK Design Action Plan, which Manchester Metropolitan is currently working on with the Design Council and other partners, while the Unit X initiative which links students across courses to work on professional briefs, is cited as best practice in interdisciplinary study.